Did y’all know that Alabama has an official state whiskey? In 2004, the State of Alabama designated Clyde May’s Conecuh Ridge Alabama Style Whiskey as the “official state spirit.” The story behind the founding of Clyde May’s Whiskey is about as Southern as it gets. After serving in World War II, legend has it that Clyde May returned to his native Alabama to raise his eight children and tend to the farm that he had purchased before the war began. Like many farmers at the time, Clyde would distill the excess grains he harvested into corn whiskey. “Branch-farming” he liked to call it. From the 1950s to the 1980s, May managed to produce nearly 300 gallons of whiskey a week just southeast of Montgomery in a still that he had designed and built himself. While much of May’s whiskey was sold un-aged, a portion of the whiskey he produced was aged in charred oak casks. Clyde added oven-dried apples to his barrels. The resulting hints of green apple and cinnamon not only made it smoother than other whiskeys—they’re what made it Alabama Style. Always distilling whiskey outside the law, May was arrested in 1973 and served an 18-month sentence at the Maxwell Air Force Base. “He sure had a reputation for making fine whiskey,” said Thomas Allison, a former officer with the United States Bureau of Alcohol, Tobacco and Firearms. Upon his release, May gave up his cell to the man who convicted him: Attorney General John Mitchell, who was convicted in 1974 on charges relating to the Watergate scandal. After May’s death in 1990, his son, Kenny, took up the family business and began working with Kentucky Bourbon Distillers to produce a whiskey in honor of his father. Using his father’s recipe and water imported from Conecuh Ridge, May produced the first legal batch of Clyde May’s Conecuh Ridge Alabama Style Whiskey over a decade ago. 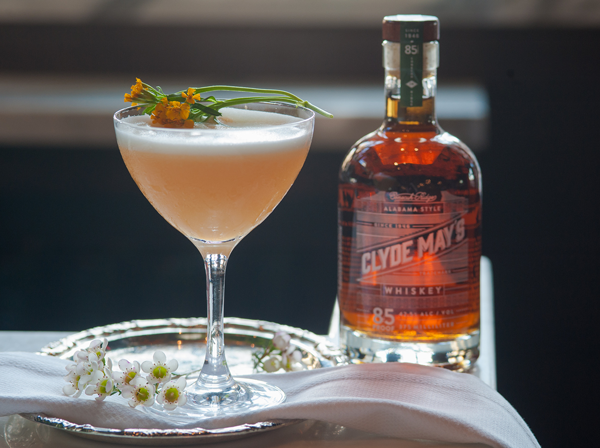 Today, Clyde May’s Whiskey continues to be made from the same recipe that Kenneth’s father perfected nearly 50 years ago: a mash of corn, rye and malted barley. Once the grains are distilled, they are aged in oak barrels for an average of five to six years. The kind folks over at Clyde May’s reached out to us, as they partnered with King of Pops to produce tasty “poptails” this summer. Clyde May’s Poptails are the coolest cocktails around. King of Pop’s “Poptails” with Clyde May’s Whiskey. Here are a few recipes y’all can try. All of these recipes make delicious cocktails – or you can pour the concoction into popsicle molds and freeze them overnight. Pretty Southern Mint Julep – a Pretty Southern original if you don’t have time to prep & cool simple syrup. 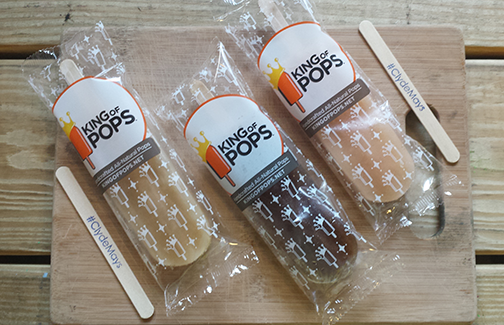 Have you tried Clyde May’s or one of these delicious King of Pops “Poptails”? Let us know in the comments section below. 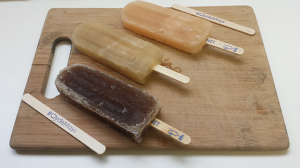 I have tried Clyde Mays/King of Pops poptails and they are DELICIOUS! I was surprised that the grapefruit Whiskey Sour poptail was my favorite. The grapefruit/whiskey combination is unexpectedly refreshing.